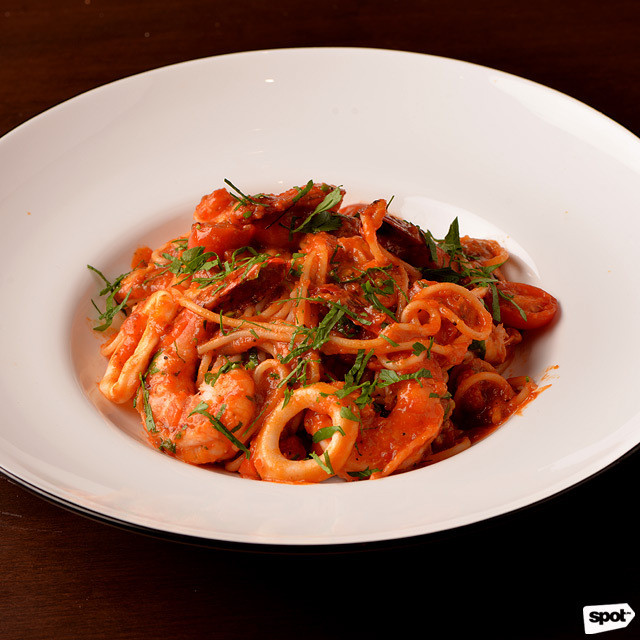 (SPOT.ph) Pasta is a universal language. There are so many ways to enjoy a wispy angel hair or pillowy ravioli—not to mention all the sauces and toppings that make this traditionally Italian dish even better. So it wouldn’t surprise us if you were thinking about where to get your next pasta fix right now. 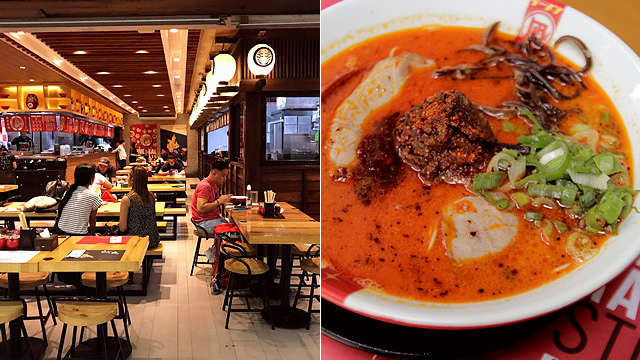 Don’t worry; we’ve made things easier for you with these 10 must-try restaurants in BGC, Uptown Bonifacio, and Burgos Circle for some really great pasta. Even from outside the restaurant, Mamma Mia presents splashes of vibrant colors that make it hard not to peek what’s inside. Their signature bold look is also plastered in every corner of the joint, getting you in the mood for some festive Italian cuisine. 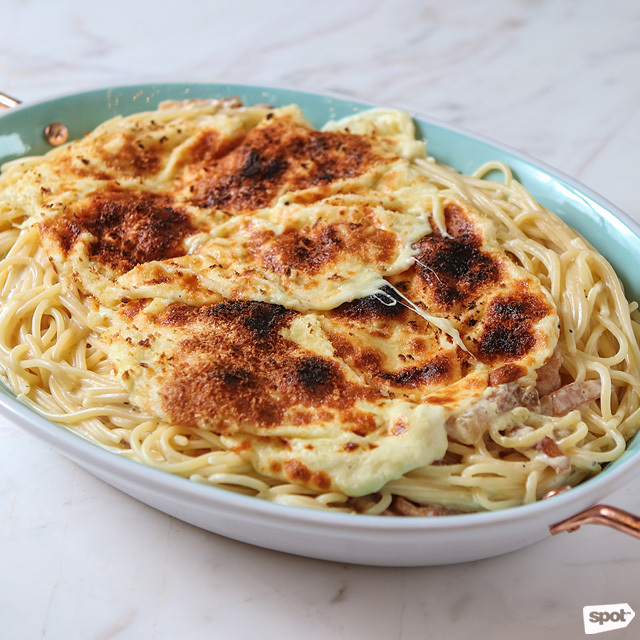 Their take on a classic beloved pasta dish, the Spaghetti Carbonara alla Mamma Mia (P485), is a must-order if you’re a fan of creamy dishes. You can likewise have a helping of their Fettuccini Alfredo con Pollo (P350), a slightly different version thanks to the herby chicken and richer cream sauce. 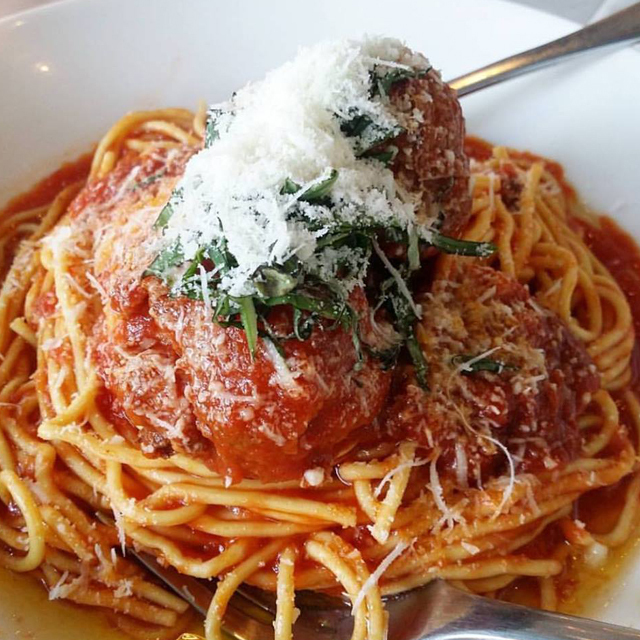 No matter what you order, though, you’ll surely be saying, “Mamma mia!” until your next visit. Mamma Mia is at G/F Uptown Place Mall, 36th Street corner 9th Avenue, Uptown Bonifacio. Va Bene Pasta Deli has a way of transporting you all the way to the cozy home-like restaurants of Italy without ever leaving the Metro. Their intimate interiors are not far from the usual restaurants in the world’s pizza-and-pasta capital, and the food is definitely there to impress. Have a taste of their Braised Chicken Pansotti (P420), a ravioli dish that just bursts with the flavors of braised chicken bits and gorgonzola cheese sauce at first bite. The Potato Gnocchi (P420) is another must-try, with its combination of gorgonzola cheese, arugula, and wild nuts in a simple and elegant dish. 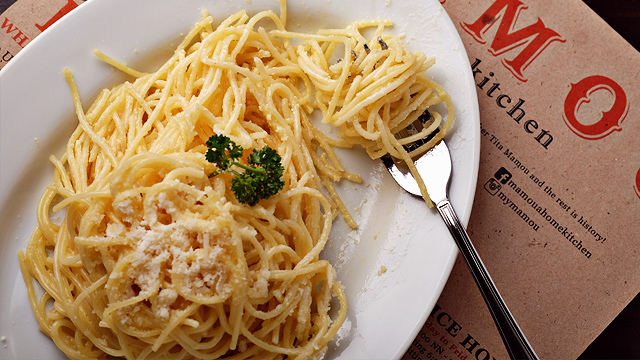 Va Bene Pasta Deli is at 3/F Central Square, Bonifacio High Street, Bonifacio Global City. 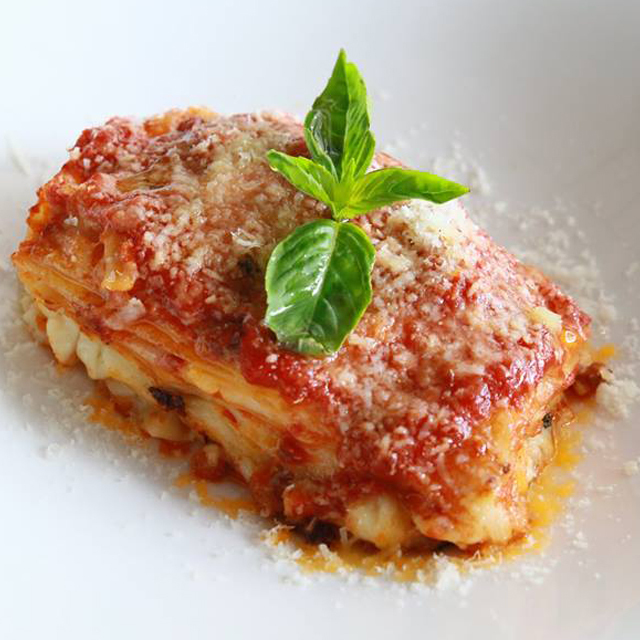 Salvatore Cuomo & Bar offers authentic Italian dishes inspired by the meals you can find in Naples, Italy. But instead of having to fly to Europe, you can just enjoy the Neapolitan Italian cuisine right here in BGC. The Spaghetti alla Puttanesca (P450) is definitely a no-fail dish for pasta lovers, but if you want to try something new and are up for the splurge, there’s the Linguine alla Genovese con Gamberi e Capesante (P780)—linguine with shrimps and scallops mixed into a rich and nutty pesto sauce. Salvatore Cuomo & Bar is at G/F Uptown Parade, 9th Avenue corner 38th Street, Uptown Bonifacio. Mulberry Door has some of the prettiest restaurant interiors in the Metro. The place is perfect for intimate gatherings with family or friends, but whether or not you’ve got a special occasion in mind, the food makes for a great reason to visit, too. Every seafood pasta lover must grab the Garlic Prawn and Crab Fat Linguine (P480), which is exactly what it sounds like, sometimes even better when tasted. There’s also a Spaghetti a la Checca (P360), made with organic tomato sauce and a hearty blend of tomatoes, garlic, and olive oil. Mulberry Door is at 8 Forbestown Road, Burgos Circle, Taguig City. The brick walls and columns at Dario will definitely make you feel like you’re in the middle of a tiny town in Italy, enough to appeal to everyone’s inner old soul. There’s plenty to eat here, too, but some of their awesome pastas include the Penne all’Arrabbiata (P460), made with penne pasta in a garlicky tomato sauce mixed with some fresh chili, or their Lasagna Clasica Emiliana (P560), a homemade slow-cooked lasagna with a rich ragu sauce. 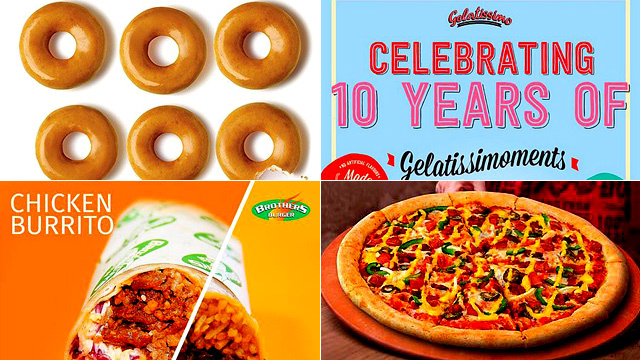 Dario Ristoranti Italiano is at G/F Serendra, Bonifacio Global City. Motorino Pizzeria Napoletana dug its roots in New York City, but after a few years, it has branched out to cities around the world like Hong Kong, Singapore, and, of course, Manila. The joint is mostly known for their brick-oven pizzas, but what goes best with pizza? Pasta, of course! Their Aglio Olio with Bacon (P325) takes the classic oil-based pasta one step further with the smoky addition of their special homemade bacon, and for an extra meaty option, you can go with their Classic Motorino Meatballs (P415), a pasta dish served with tomato-braised pork meatballs and topped with pecorino and basil. Motorino Pizzeria Napoletana is at G/F Net Park, 5th Avenue, Bonifacio Global City. If you’re getting together for a family lunch or dinner, count on Mamou to deliver. There’s always something for everyone for any occasion—just take a look at their Lola Fem’s Birthday Spaghetti (P285) that’s just begging to be part of your next birthday dinner. 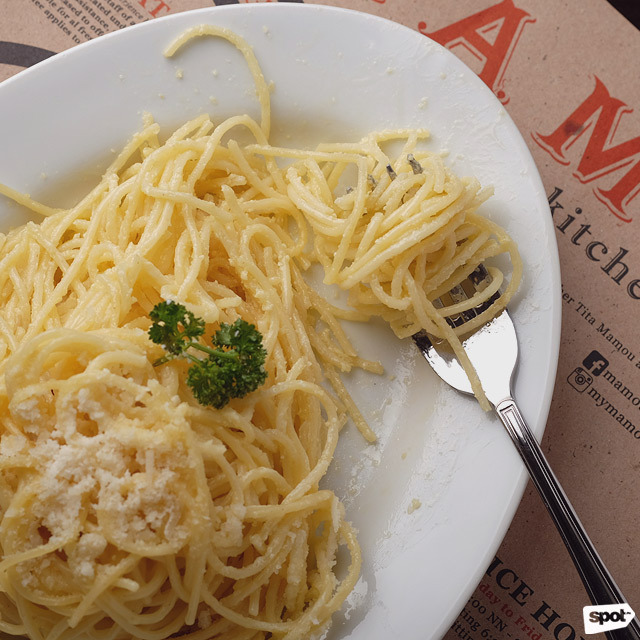 If you’re up for something simple yet remarkable, there’s the classic Lorenzo’s Truffle Cream (P395), but if you like seafood, you also can’t miss out on their specialty, Mamou’s Linguine Vongole (P365), which is made with the perfect mix of herbs, clams, and linguine that’ll have you daydreaming about the dish for days. Mamou is G/F Serendra, Bonifacio Global City. 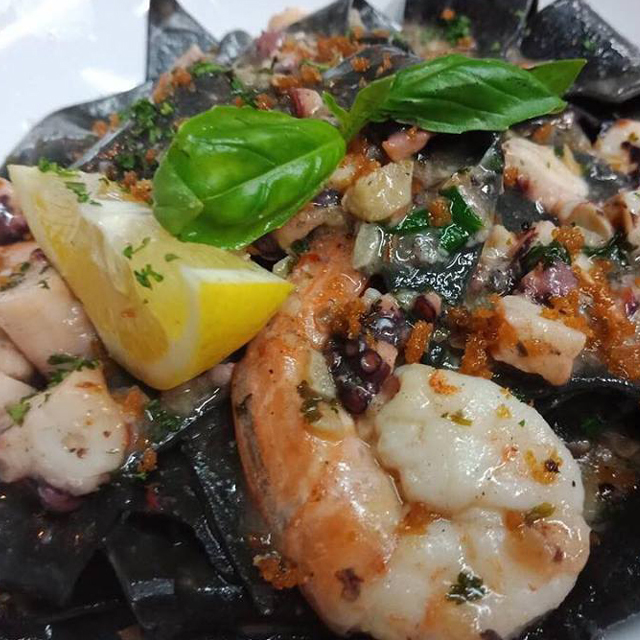 Don’t be fooled by their simple décor—Caffe Puccini might be a homey little nook tucked away at The Fort Strip, but their menu really packs a punch. 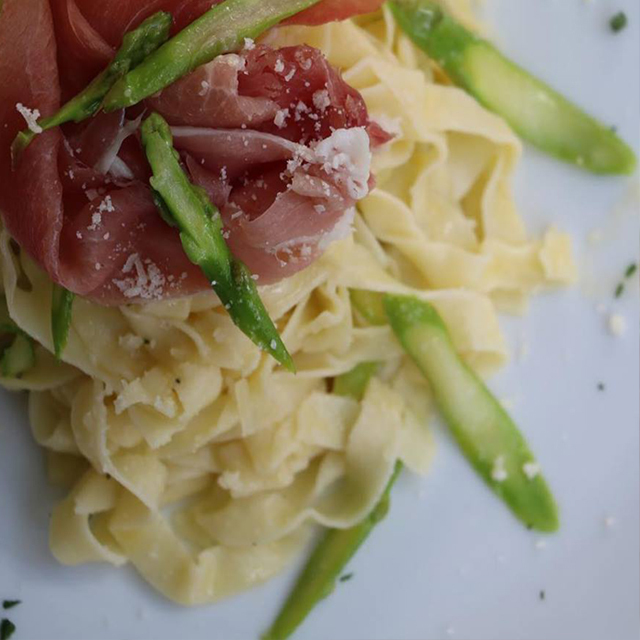 The restaurant features some well-loved Italian dishes as well as interesting combinations, too. If you have a taste for truffle, you’ll want to try their Fettuccini Con Funghi Tartufo (P395), or fettuccine with mushroom and truffle oil all in a thick cream sauce. The Ravioli Spinach (P455) is prepared with a black truffle cream sauce, so there’s definitely a nice surprise waiting on the inside! Caffe Puccini is at G/F Fairways Tower, 5th Avenue corner McKinley Road, Bonifacio Global City. Just because this joint is called PizzaExpress doesn’t mean their pasta menu isn’t also a force to be reckoned with. 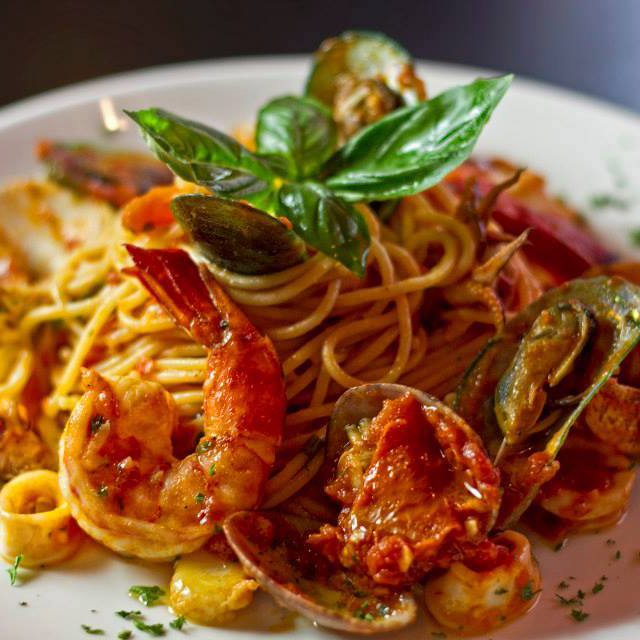 If you’re craving something more on the lighter end, there’s their version of a classic: The Spaghetti Fruti di Mare (P395) is complete with prawns, clams, mussels, squid, and cherry tomatoes, all swimming in their signature spiced pomodoro sauce. PizzaExpress is at G/F Uptown Place Mall, 36th Street corner 9th Avenue, Uptown Bonifacio. 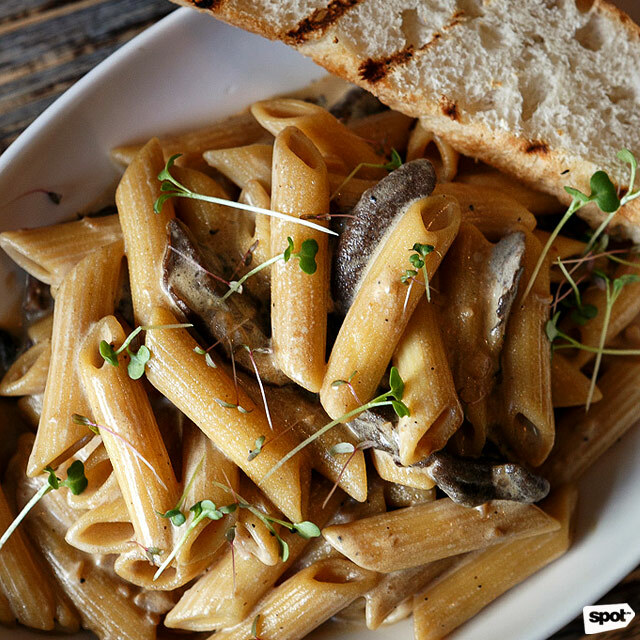 Helmed by the same people that brought you The Coffee Bean & Tea Leaf, 26th Street Bistro is a one-stop shop for all things comfort food. So it’s no surprise they’ve got an impressive pasta selection, too. Take, for example, the Mac and Cheese (P355), which is an elevated take on your favorite childhood snack. 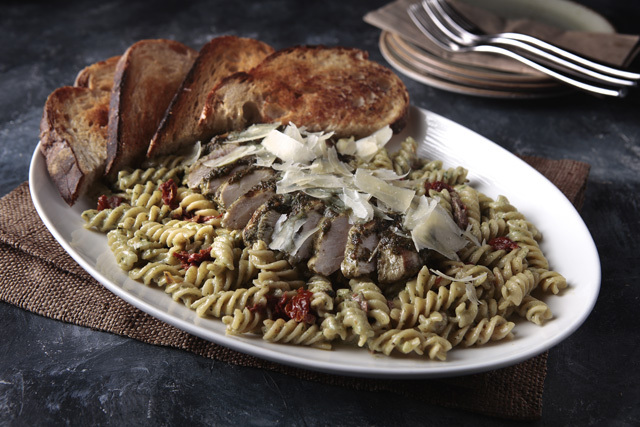 You can also sample the Creamy Pesto Fusili with Grilled Chicken (P395/solo, P675/sharing), which promises to hit all the right notes and leave you coming back for seconds (and even thirds). 26th Street Bistro is at Net Lima, 5th Avenue Corner 26th Street, Taguig, Bonifacio Global City.